Azure Premium Storage is generally available in April of 2015. Some of you may try that in public preview period. 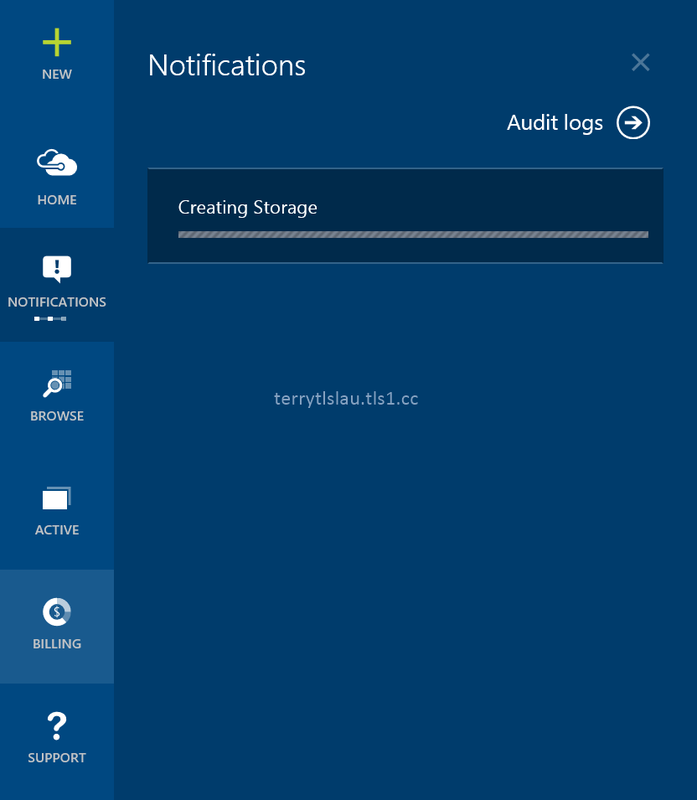 In this part, I'm going to do some introductions for Azure Premium Storage and create a Premium Storage account on Microsoft Azure Portal. 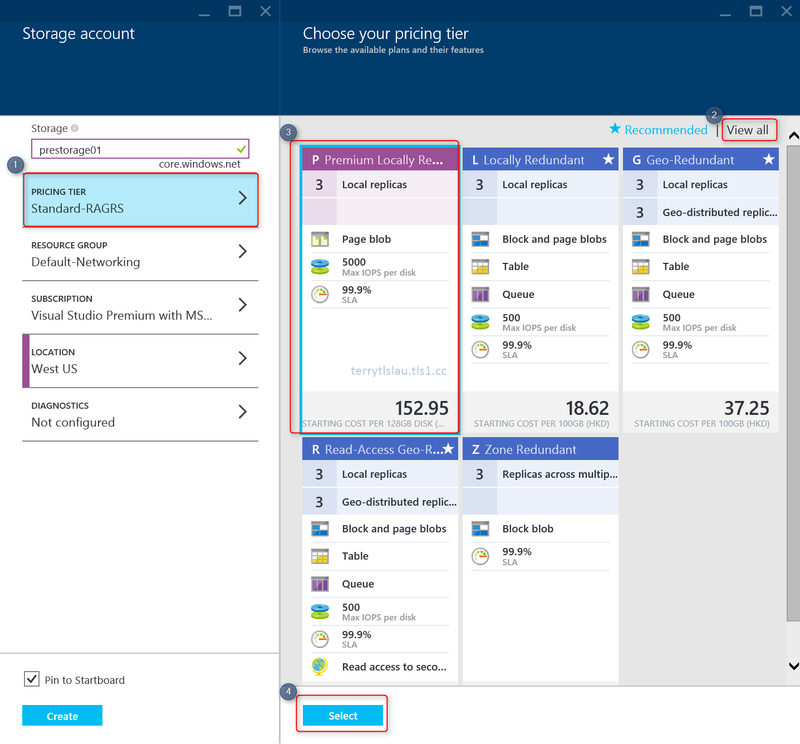 Azure Premium Storage Disks can deliver high-performance, low-latency disk support for I/O intensive workloads running on Azure virtual machines. It can provide maximum 64,000 IOPS per VM but you need to understand the disk bandwidth for VM size. I'm going to talk about Max Disk bandwidth later. Azure Premium Storage Disks are pools of Solid State Disks. At this moment, there are some important thins you need to know. A Premium Storage account is locally redundant (LRS) and keeps three copies of the data with in a single region. If you want to use a Premium Storage account for your VM disks, you need to use the DS-series of VMs. You can use both Standard and Premium storage disks with DS-series of VMs but you cannot use Premium Storage disks with non-DS-serise of VMs. A premium storage account cannot be mapped to a custom domain name. 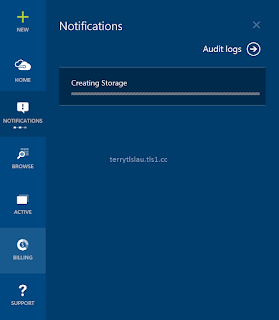 Storage analytics is not currently supported for Premium Storage. To analyse the performance metrics of VMs using disks on Premium Storage accounts, use the operating system based tools, such as Windows Performance Monitor for Windows VMs and IOSTAT for Linux VMs. 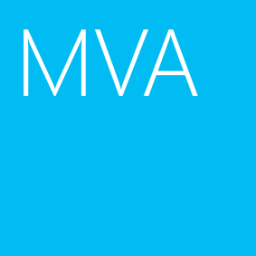 Quote from Premium Storage: High-Performance Storage for Azure Virtual Machine Workloads. First of all, we need to create a new Premium Storage account in the region which you wanted for using Premium Storage Disks. 1. 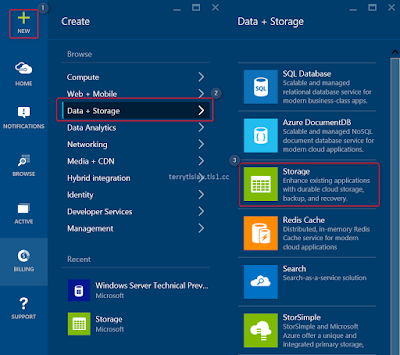 On Microsoft Azure Portal, click "New > Data + Storage > Storage". 2. 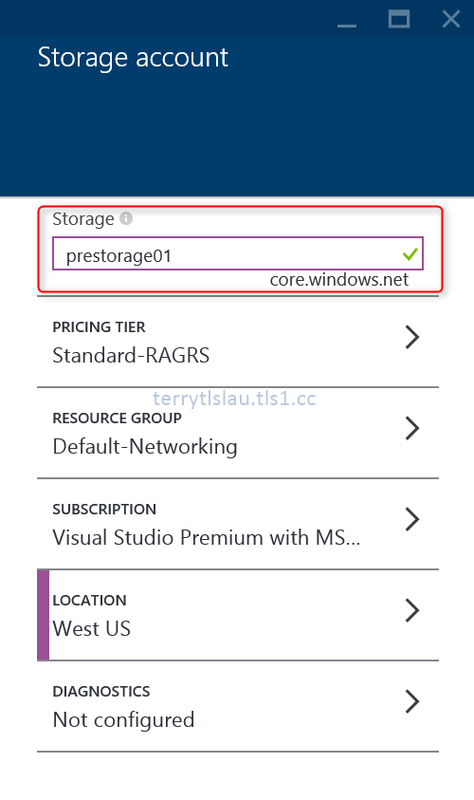 Next to "Storage account", under "Storage", enter the name for Premium Storage account. 3. Click "Pricing Tier" and then click "View all > Premium Locally Redundant". After that, click "Select". 4. If we needed, we could create a new resource group to assign for dedicated high-performance virtual machines. In my lab, I click "Create" to create a new Premium Storage Account. It takes few minutes to create the new Premium Storage Account. In this part, I created the Premium Storage Account. Next Part, I'll create a new Premium Storage Account by PowerShell and create a virtual machine to use Premium Storage disks. You have mentioned that Premium storage is available in Sourth Central US data center. But even with the new azure portal, i am unable to select SCUS with premium storage. 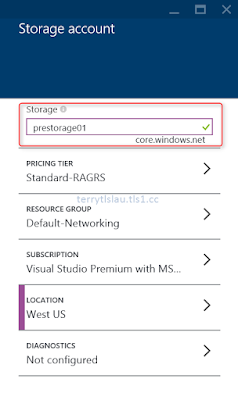 Other blogs like: http://azure.microsoft.com/en-in/pricing/details/storage/ mentions that premium storage is unavailable in SCUS. Thanks for the comment and sorry for my mistake. I updated my content.